If you want to get a great-looking six pack, or just generally flatter abs, then it is not enough to simply do lots of sit ups. Instead, you need to use movements that will really challenge the core in a variety of different ways. You need to train your abs in manner that takes into account the anatomy of the mid-section. One way you can do that is with an ab bench. Ab bench exercises allow you to increase the resistance that your abs are working against, by changing the angle and effectively increasing the gravity’s effect on the body. 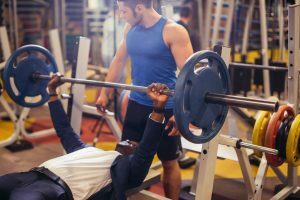 In this post, we will take a look at some of the best ab bench exercises, and how they can help you to build stronger, flatter abs. An ab bench is a bench much like a bench used for bench pressing or dumbbell pressing. You lie on it so that it can provide a flat and stable support for the back, while you handle heavier weights. An ab bench is slightly different however, in that it is angled to have a steep decline. That means that your head is pointing downward and is much lower than your legs. At the leg end is normally a foam roll that you can use to hook your legs into comfortably. This then allows you to keep yourself in position, while you then perform a range of different exercises. Let’s start with something very simple. An ab belt crunch is simply a crunch that means you will be rolling your body upward and bending across the mid-section. This is different from a sit-up, where the upper body is traditionally much straighter. It is also somewhat different from your regular ab crunch, in that you are going to be crunching from much further back. I chose to start with this exercise, as it perfectly illustrates the purpose of using an ab bench and how you can make every exercise that much more effective for you. When trying to build a six pack, normally this means training the transverse abdominis – the plate of muscle that sits at the front of the stomach and that has the six ‘segments’ that make up a six pack. To train this effectively, it is important to understand what this muscle actually does in the body. The answer? It helps us to remain upright. Its role is to prevent your body from bending backward under the strain of the erector spinae (the muscles at the small of the back). Likewise, it is also used whenever we bend forward and can thus roll the body forward. To enjoy a greater range of motion, we need to start from further back – hence the ab bench – and this will result in noticeable change in the appearance of the abs. At the same time, it’s important that we focus on rolling rather than pivoting at the waist with the back straight. When you do that, you are actually using the hip flexors and not the abs. So, when using this movement, try to really connect mentally with the action of the transverse abdominis and keep this in mind the whole time. Another common mistake when trying to train the abs, is to use too much momentum – to almost ‘bounce’ yourself out of that starting position and thereby accelerate through the movement. This of course creates a scenarios where you aren’t actually engaging the core and are instead generating the power with your back and arms. To counter this, try taking a broom (or any kind of stick) and running it between your hands and your head (behind the head, in front of the arms) with your hands held up by the sides of your ears, palms facing forward. Don’t pull the stick against your head when moving (this is bad for your neck) but just use it as a reminder to keep your upper body still and to generate the power in the core. At the top of the movement, twist so that the stick faces 90 degrees from the starting point. Change sides each rep. This was actually the movement that Stallone used to develop his incredible abs for Rambo 3. Speaking of celebs with amazing six packs, they don’t come much more impressive than Bruce Lee’s. And Bruce famously used an exercise called the Dragon Flag in order to develop these. This movement involved starting out using the ab bench backwards. Now your upper body is holding onto the foam roll, with your legs hanging. From here, you could do a leg raise (also a good ab bench exercise), but instead, you’re going to focus on bringing the entire of your body to a 45 degree angle. That means that only your shoulders and upper back will be pressing against the ab bench. Now raise your legs and lower abs up slowly, then lower again. One of the biggest mistakes we often make when training abs, is forgetting to increase the amount of resistance. The assumption is that the abs don’t need weight added, but in truth this is one of the fastest ways to create more strength and thereby to get them to really pop. 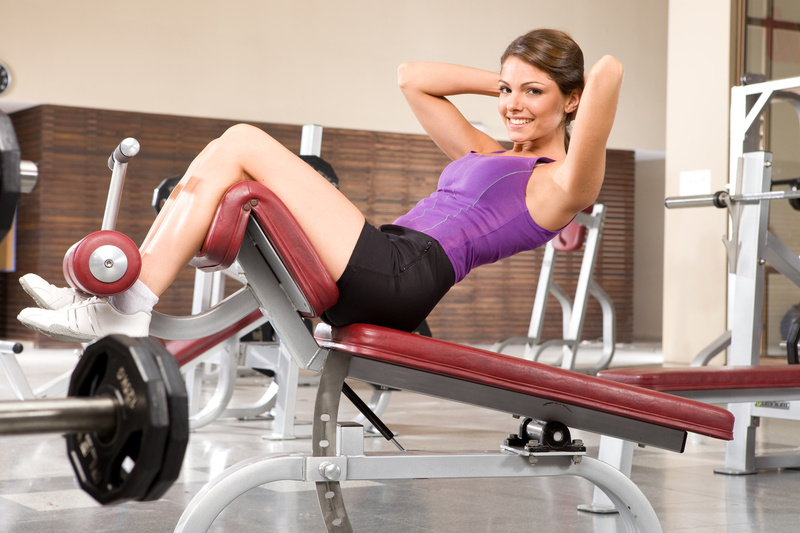 So, to build bigger and stronger abs, try holding onto a weight plate while you perform the repetitions. This will build the abs up big and strong. These are just a few ab bench exercises that you can use to create an awesome mid section. There are many more, though in truth – just these few alone should actually be enough to see some really impressive changes. Simply doing countless sit ups at home is not going to get you a great looking six pack. This post will show you how to do that with ab bench exercises.